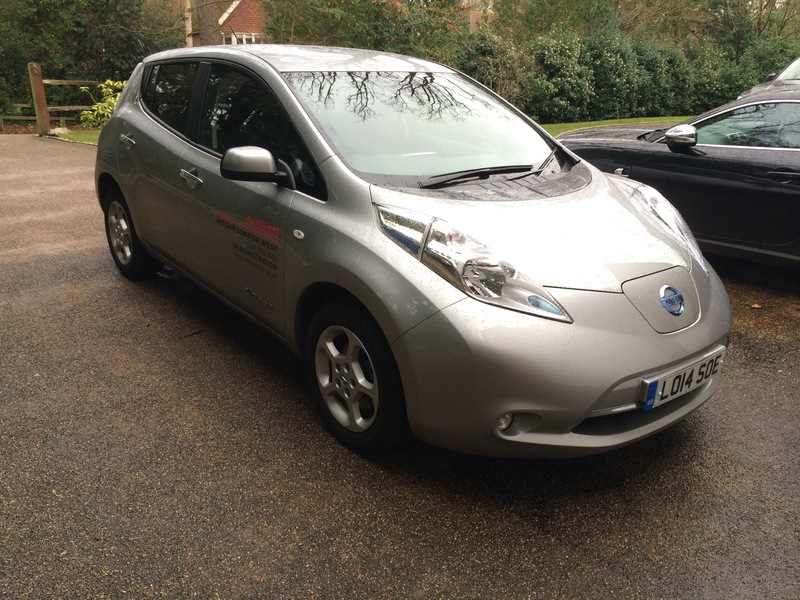 Electric shock (3) – Nissan Leaf – Driving, then not! Last summer I drove a Tesla for an hour. The sudden, smooth acceleration was a revelation. It dispatched nought to 60 in about five seconds but it’s nought to 30 time was the quickest I’ve ever experienced in a the car. Apparently it was quicker to 30mph than a Ferrari Enzo. It certainly felt it. 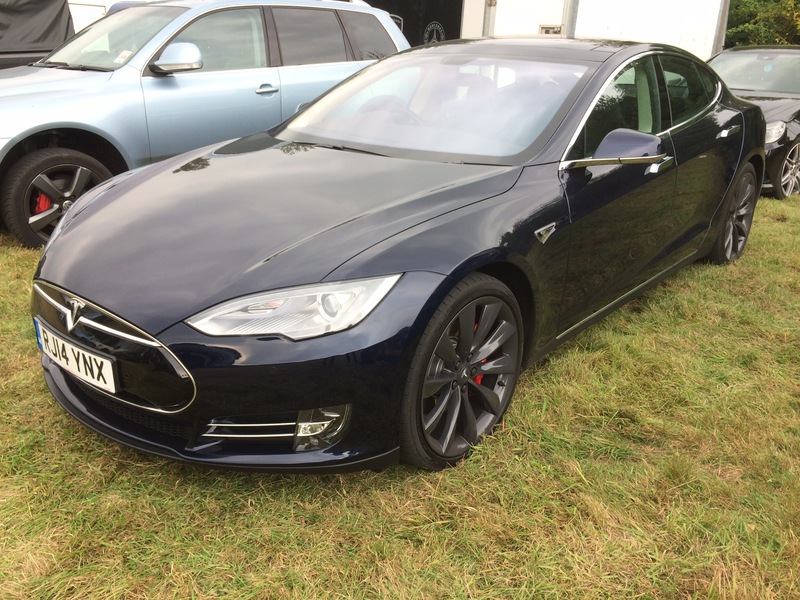 The new four-wheel-drive Tesla can apparently reach 60 in about three seconds, similar to a Bugatti Veyron for a 10th of the price! I can’t wait to try one. 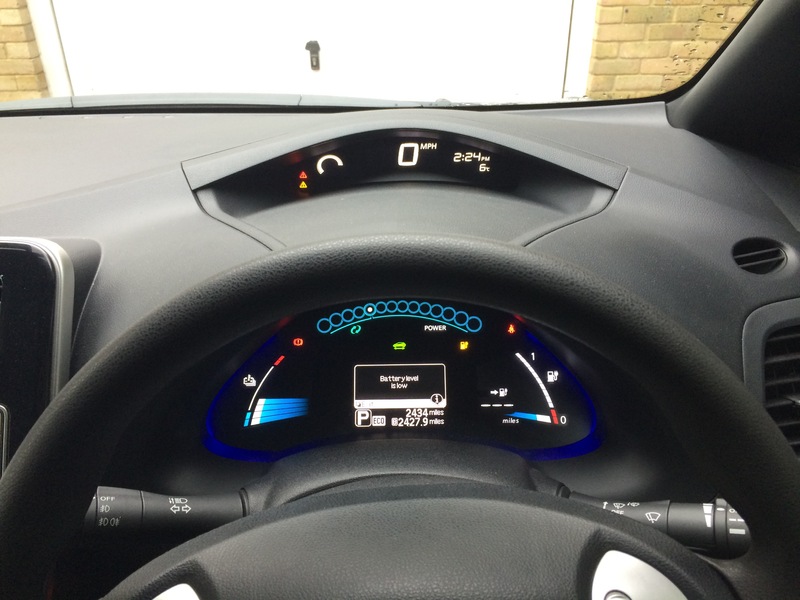 Whilst the Nissan Leaf was nowhere near as quick as a Tesla it still felt very nippy up to 40mph. In urban driving the Leaf’s acceleration is probably more than adequate, certainly more than enough to embarrass a warm hatchback. When I picked up the car it had been fully recharged and showed a maximum range of 78 miles. To drive it home to Surrey the quickest route was via the M25, a Journey of about 30 miles. I drove the car like I would any other. As such I did not have it in eco-mode and I had the climate control, wipers and headlights on. By the time I reached home the range remaining showed only 22 miles. I was not that worried as I intended to charge the car overnight but I was surprised at how quickly the battery had depleted. The following day I found the car had not not charged at all. I thought I had made a mistake in fixing the charging cable, although everything had seemed correct at the time. As I only had a short journey to do that day I didn’t bother trying to charge it further. However my short journey, with wipers, climate control and headlights, again drained the battery faster than I anticipated. The last couple of miles home were rather fraught as the car was showing zero mileage left on the remaining battery charge. Range anxiety became a reality. When I tried to charge the car again that evening I found it would not take a charge. It would start charging for a short period and then would cut out. The next day I rang Nissan to see if they could help. They thought it could be a problem with the charging cable or potentially the car. They told me to ring Nissan Assist who would arrange for the RAC to come and look at the problem. The RAC, however, said they were not able to look at any problems with electric cars as they were not qualified to do so. All they could do was recover the car back to me Nissan. This they did so after only two days my test drive was over. 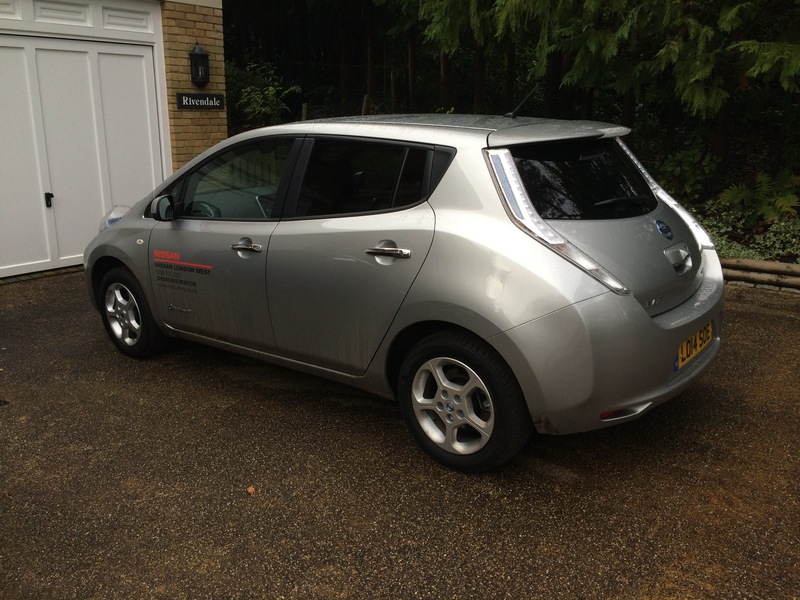 So what have I learnt about electric cars? Firstly, home charging with a three point domestic supply is not practical. You really need a fast charger and to get that in the UK you have to do battle with the incompetent British Gas if you intend to buy a Renault or Nissan. You also need offstreet parking. Secondly, the range of current electric cars (except the Tesla) is simply not enough even for average suburban or urban driving. This is especially true when driving in winter. Even the range of a Tesla is hardly sufficient for winter driving of any more than 150 miles. Thirdly, unlike a petrol or diesel car, if your electric car has a problem, no one will be able to fix it at the roadside. The best you will be able to hope for is being recovered to the manufacturer’s nearest garage. On the positive side I enjoyed the smoothness, rapid power delivery, silence, lack of vibration and zero emissions of the electric motors. Once you have driven an electric car anything with a combustion engine feels like driving an antique. Electric cars are undoubtedly the future, just not yet. I have , in the past, wondered what was the point of hybrid cars. I can now see the point. Electric cars are just not yet able to provide the worry free motoring that the public require. Maybe in the future people will look at hybrid cars as nothing more than a complex and expensive step towards electric cars, but for the time being they seem to offer the correct balance between usability and efficiency. I hope to try some hybrids soon. Notwithstanding the debacle with Renault and their Zoe I was still determined to try an electric car on a long-term test. I saw that Nissan were promoting seven-day tests for their Leaf electric car. My nearest participating dealer was Nissan West London at Park Royal. I made arrangements to pick up a car on a Friday afternoon so my seven-day test would cover both driving at the weekends and also potentially a longer commute into London. 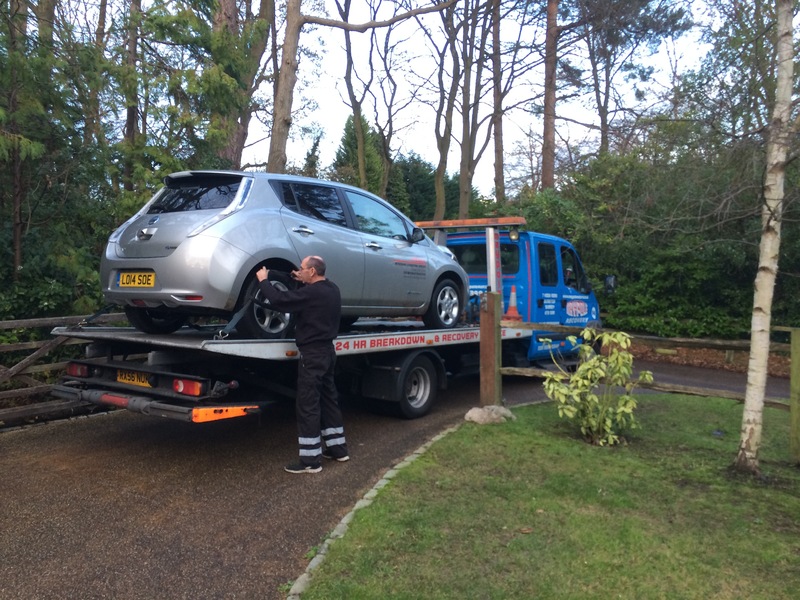 Nissan did not insist on my house being fitted with a fast charger and said the Leaf would be fine being recharged overnight from a three-point domestic supply. So, so far, so good. My initial impressions of the Leaf were mixed. Externally it is very ugly, particularly its ungainly rear end. In fact it is so ugly it makes a Prius look like a 50s Ferrari. I’m not sure I could drive a Leaf every day without losing a great deal of self-respect. Why should electric and hybrid cars be generally so ugly? Is it because manufacturers expect them to be driven by people who view them just as a means of of transport? Who care more about making a bold environmental statement than they do about driving something that hurts the eyes? Or are they supposed to be “cute ” like the execrable Nissan Figaro and Fiat 500 and therefore appeal to women drivers? Do manufacturers assume women care more about the environment then men and are therefore more natural customers of such cars? 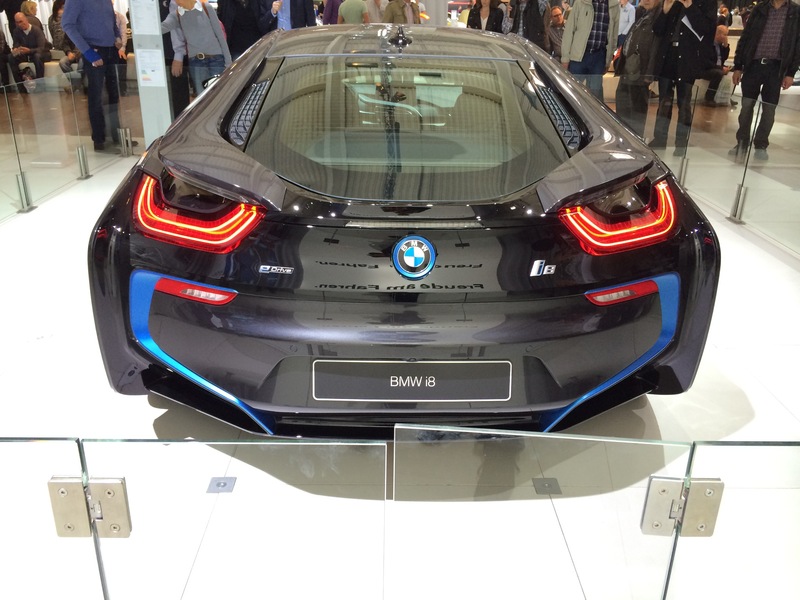 BMW have shown with their sublime I8 that an environmentally compelling car does not have to look bland. 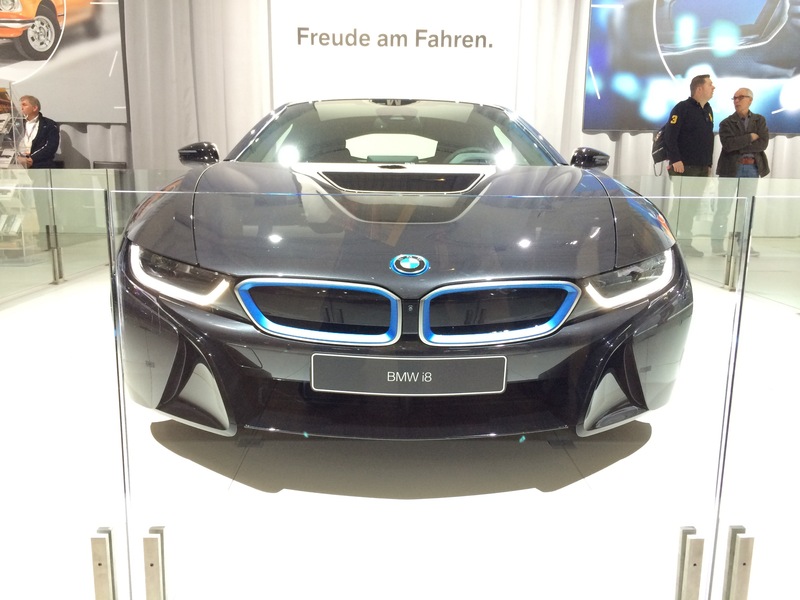 The front of the I8 is equally stunning. A 6 month old one sells for a 45% premium. A 6 month old Leaf sells for an equivalent discount. Inside the Leaf is a much better car. It’s spacious and there’s plenty of room in the back for a grown adult, unlike in the back of the Tesla where anyone over 5 foot eight would struggle to be comfortable. The quality of the interior is also pretty good, but this is a £30,000 car (without the current Government grant of £5000) and so it should be. 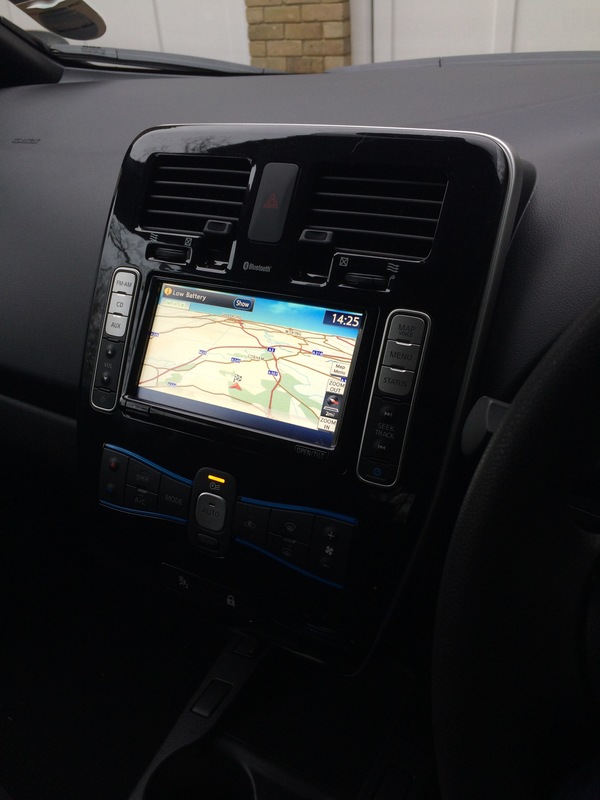 I found the satnav system to be very good though the absence of a DAB radio as standard seems stingy. In addition, in common with some other electric cars such as that Tesla, the seats are uncomfortable over anything but the shortest journey. The controls, however, are clear and intuitive and I had no trouble in driving the car after only a quick briefing. Clear and futuristic instruments on the Leaf and intuitive and well thought out. However, for electric cars I fear the message shown is all together too familiar. 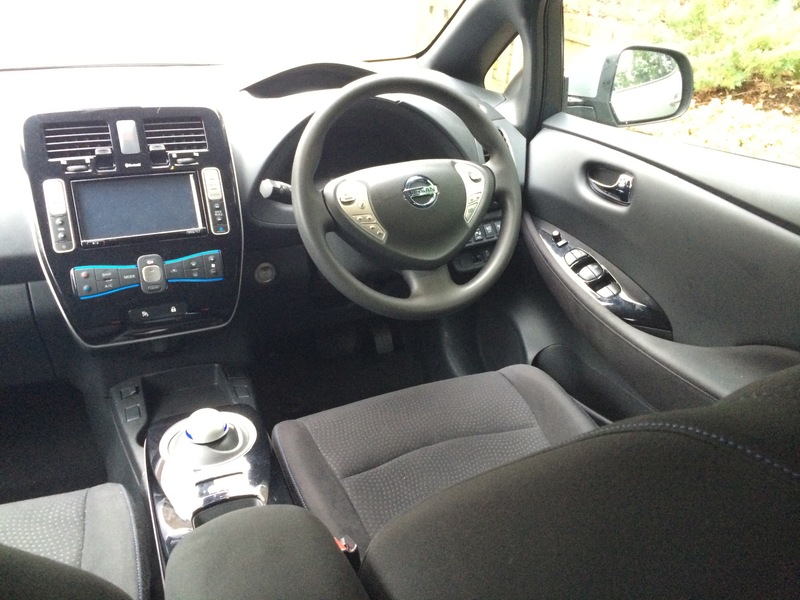 Nissan Leaf – good quality and spacious interior marred by uncomfortable seats.